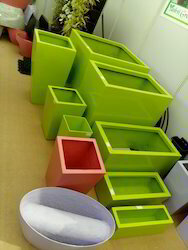 Manufacturer & Supplier of FRP Planters. Our product range also comprises of Railing Planter and Stainless Steel Planters. 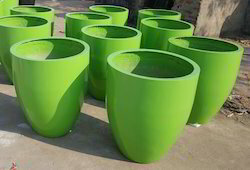 Engaged in offering FRP Planters, we are a reputed firm in the market. Variety of designs, shapes, sizes, textures suitable for our clients are available with us so that we can meet the exact requirements of our clients. These can also be customized as per the client's demand. They are crack resistant and is available to our clients at the competitive market prices. These are known to enhance the look of the ambiance. Light weight and Durable. P U paint coating.